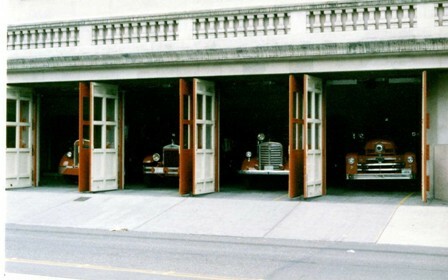 On July 12th, 2008, in conjunction with the 2008 Pioneer Square Fire Festival, a new fire museum was created in Seattle when the Last Resort Fire Department moved a portion of its collection of apparatus and artifacts into Seattle Fire Department Headquarters in the heart of Seattle's Pioneer Square. 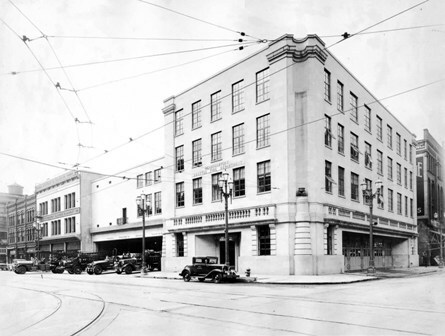 The station, built in 1928, is a four-story, ten-bay facility, that for eighty years, had been the home of both Seattle Fire Department Headquarters and Fire Station #10. 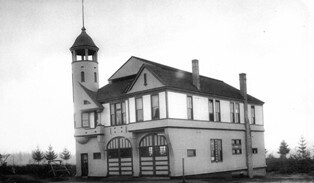 Although Engine 10, Ladder 1, HazMat-1 and Aid Car 5 have moved into their new facility just three blocks away, the old station remains Seattle Fire Department Headquarters and home for the on-duty deputy chief, the on-duty safety chief, and the office of the Chief of the Department, as well as the rest of the administrative staff. They remain on the upper floors and share a portion of the apparatus bays with the Last Resort Fire Department. In addition to three LRFD rigs, the display consists of five historic rigs belonging to the SFD. Included is the "Sacramento" - an 1834 Hunneman end-stroke hand pumper, an 1899 American "Metropolitan" 1st size horse-drawn steamer, and a 1907 American LaFrance Metropolitan 2nd size steam pumper attached to a 1916 Seagrave 2-wheeled front-drive "K-tractor". Among the more "modern" rigs is a 1950 Kenworth 1500-GPM pumper and a 1958 Mack 1500-GPM pumper, each powered by a Hall-Scott engine. The LRFD plans to "rotate" its display of apparatus from time to time, so several rigs from the collection can be seen on display in the museum at various times. There are dozens of historic photographs along with several pieces of vintage firefighting equipment, historic books, alarm journals, uniforms and badges of the Seattle Fire Department, as well as an array of vintage nozzles, extinguishers, helmets, first-aid equipment, uniforms, station furnishings, alarm boxes and several pieces of equipment, unique to the SFD. In addition, there is an on-going slide show, displaying many of the SFD's historic fire stations, fire apparatus, both old and new, and historic fire scenes. Future plans also include re-mastering several of the LRFD's archival 8-milimeter films of Seattle fire scenes and making them available for viewing. Although much has been done to create this long-awaited fire museum in Seattle, like most museums, ours is a "work in progress". Future displays will include photos of the Great Seattle Fire of 1889 and the Frye Packing Plant fire of 1943, as well as those of other historic fires. 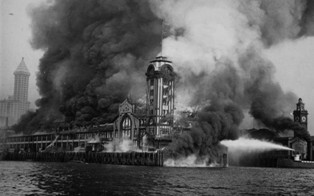 One of the most significant fires in Seattle occurred on the night of May 20th, 1958, when the Seattle Cedar Lumber Manufacturing plant in Ballard went up in flames. Newspaper clippings, personal accounts and the official preliminary report of the fire, prepared by the Seattle Fire Chief, including alarm information and drawings of the fire scene are on display, as well as the actual alarm box #4316 that sat at the intersection of the fire location. We would like to be able to staff the museum more days of the week. Phone 206-783-4474 or e-mail us at lastresortfd@hotmail.com. A look inside the Last Resort Fire Dept Museum . . .
1834 Hunneman hand pumper - the "Sacramento"
One of the most significant events in Last Resort Fire Department history occurred on June 21st 2008, when our 1937 Seagrave 100-foot tillered aerial (Apparatus 131) "returned home" to Seattle Fire Department Headquarters Station 10, in preparation for the opening of the LRFD Museum. Our Apparatus 12 had already been moved to the Museum on June 1st, and it, along with six historic rigs belonging to the S.F.D. were repositioned on the apparatus floor to accommodate the 53-foot long aerial. 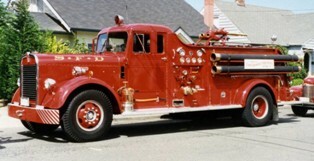 Apparatus 131 was the first all-steel aerial in Seattle, and the first rig with an enclosed cab. It's streamlined appearance, along with its powerful V-12 engine, made it the showcase of the Seattle Fire Department for many years. It first rolled into the bay designated for "Truck Co. No. 1" in 1937, and remained in service there until it was replaced in 1961. After being absent from Truck 1's bay for 47 years, it was quite a sight watching it back into its old stall. The 20-minute trip from the L.R.F.D. 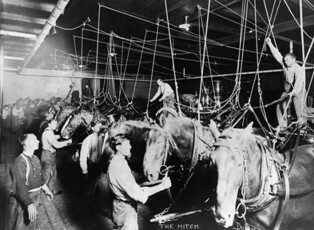 Shop Facility to the Museum was captured on video and can be seen by clicking on the above title - "Apparatus 131 Returns Home". App 131 in its new home - the LRFD Museum . . .
a thorough cleaning in preparation for its "new home" indoors. into the LRFD Shop for the very first time. of the Shop now has a different appearance for the first time in 16 years. It's a squeeze, but 316 & 319 are finally inside, out of the elements.